Beer fanatics don’t really care where their next brew comes from—the local pub, a friend’s backyard, and the supermarket are all fine options. But for a truly unique beer experience, visiting a favorite brand’s brewery is the way to go. Luckily, Chicago is full of excellent spots to see how products are made, try what’s on tap, and maybe learn a little history, too. Here’s your guide to some of the Windy City’s best breweries. Founded in California by a Chicago native, Lagunitas Brewing Company opened a massive Douglas Park brewery in 2014. Guests on a free Lagunitas tour (which run daily) get to watch all the action of the production floor, the bottling process, and how Lagunitas beer is brewed just right. 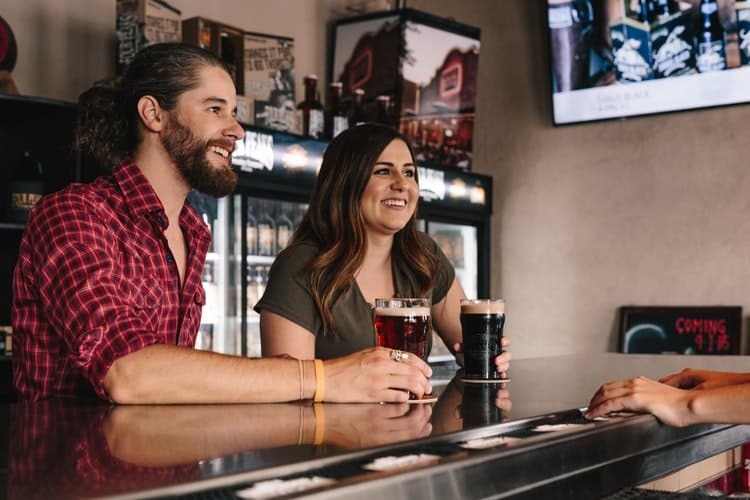 Since no brewery tour is complete without a tasting, guests can also sample from 16 different brews in the facility’s 4,000-square-foot taproom. In order to fully drink your way to Lagunitas bliss, it’s a good idea to have a limo service waiting for a safe ride to the next destination. Goose Island Brewery is one of Chicago’s original craft beer enterprises, founded at the very beginning of the American craft beer explosion. Beginning as a Lincoln Park brewpub in 1988, the company has since become one of the nation’s most recognizable brands. Tour guests at Goose Island’s Fulton Street Brew House can learn about their brewing process, explore small-batch experimental beers, and sample from a selection of 20 varieties in the taproom. Goose Island Brewery requires online reservations ahead of time, so why not book a limo ride while you’re at it? For a slightly fancier beer outing, try the home of one of the city’s newest brands, Moody Tongue Brewing Company. Housed inside a century-old glass factory in Pilsen, Moody Tongue offers guests a huge modern taproom, complete with one of the nation’s largest brewing library collections, a dozen rotating beers on tap, and delicious food options. In addition to the taproom, guests can also tour the brewery itself for free on weekend afternoons. As one of Chicago’s best-rated limousine services, Echo Limousine is committed to service at every level. Our vehicles are perfect for a wide variety of occasions, from weddings and funerals to corporate events, reunions, proms, and more. To learn more about our services, contact us online or call (773) 774-1074 today.